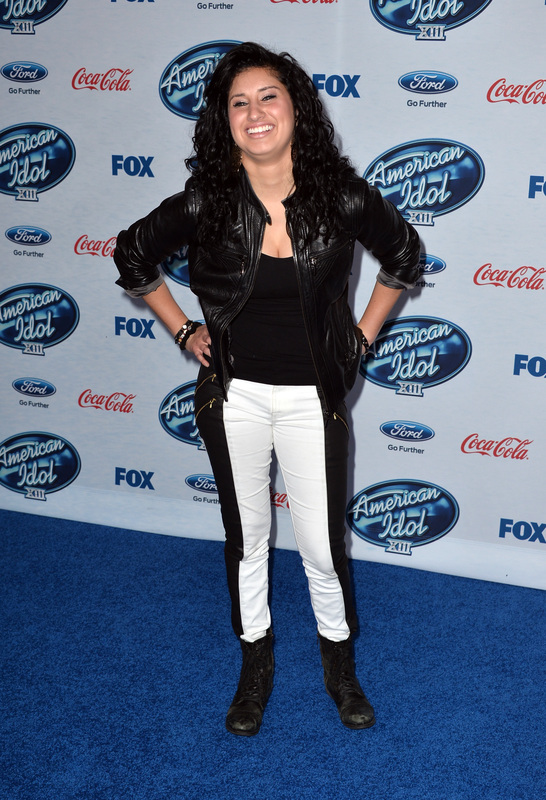 Zedd's "Clarity" Has Been Covered by 'Idol's Jena Irene Asciutto, 'Glee,' & 'The Voice': Which Version Is Best? You very likely remember these lyrics: if our love is insanity why are you my clarity? — Sing along, please. You've heard it spin classes, on the radio, and on every pop music show. "Clarity" by Zedd/Foxes is covered constantly. And it's just about to get the American Idol treatment. Zedd has been pretty popular in the EDM (electronic dance music) community for some time, and "Clarity," which features Foxes, took shape to be a huge mainstream hit last summer. Then it got even more mainstream, when Jessica Sanchez (of American Idol season 11) took the song to Glee's Season 4 finale last May. In June, Michelle Chamuel and Jacquie Lee both blasted it out of their vocal cords on The Voice, and in September, Rylie Brown put her spin on the song on The X Factor. Tonight, as American Idol 's top ten takes the stage singing songs that have been Billboard top ten hits since 2010 (get it? The ten sing 10s since '10? Oh, Idol, you clever behemoth, you), we'll get to hear yet another rendition of this song of last summer, when Jena Irene Ascuitto belts it out. Are you tired of "Clarity" yet? Or do you want another cover? OR do you want to decide which cover reigns supreme? Okay, let's do that. She rocks out here with blasting vocals. It's the polar opposite of what we're about to see in its stripped down version. However, there's something awkward about watching a person dance alone on stage. It feels like karaoke — with good vocal cords, for sure — in public. But alone. You know. Brown loses points for forgetting the words, but the song, in its stripped-down version sounds pretty good. She likes to riff a little much, though. The song sounds a little overwrought and maudlin. I thought this song was for spin class? Apparently it's also the equivalent of "On My Own" from Les Mis. She's got a different kind of voice, and it's a love it or hate it kind of voice. It's another emotional, stripped down version. But just remember — I didn't even list for you all of the at-home Youtube covers of aspiring singers, some of whom, like Jena Irene tonight, you might see on American Idol one day... just not necessarily moving forward in the competition.